Focus on the Family Radio Theatre released C.S. 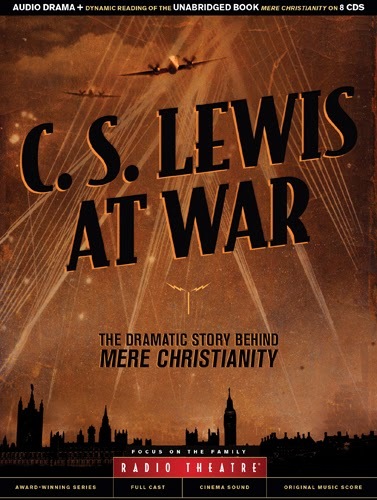 Lewis At War: The Dramatic Story Behind Mere Christianity at the end of 2013 and that is our topic of discussion today. This audio drama is very different from any previous Radio Theatre production and while it may not appeal to younger listeners, we think that it is an amazing story that adults and teens will still find entertaining. Roy also has a newscast that is chock-full of Adventures in Odyssey news. And we check out some feedback from Jane and Christopher. Lastly, Andrew gives a review of the Odyssey Adventure Club. The cover art and title for Album 58 of Adventures in Odyssey has been released. The Odyssey team has revealed that they have cast a new actor for the character of Matthew Parker. Phil Lollar is returning to the writing team for AIO.